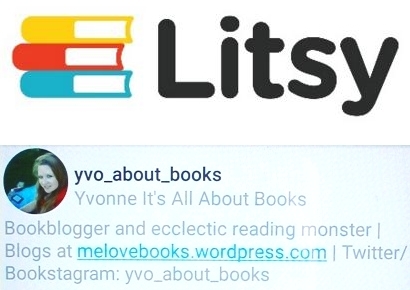 Time for another round of Yvo’s Shorties! 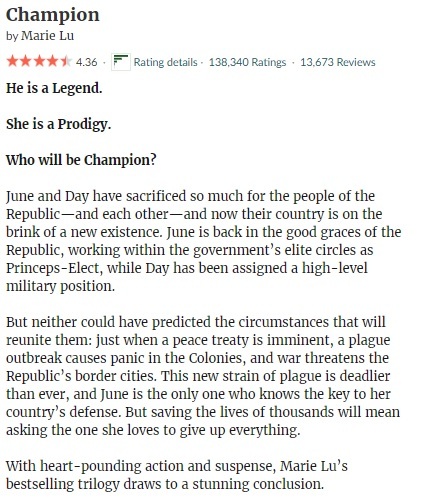 Another YA edition… The first a final book of a trilogy, Champion by Marie Lu, which I didn’t find to be as strong as the first two books. The other title is my first Dutch read of the year. 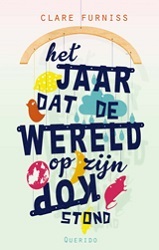 A Dutch translation of The Year Of The Rat by Clare Furniss, which was quite good overall. 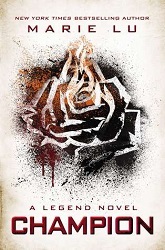 I decided to pick up Legend book number three shortly after finishing the second one as part of the promise to myself to start finishing more series. After enjoying the first two books, I was actually quite surprised I didn’t enjoy the final book of the trilogy as much as the previous two. I can’t put my finger exactly on the why, but I think it has to do with the fact that I just didn’t think the plot was as interesting as I would have hoped for a final book. Also, the love triangle really started to get on my nerves… But then again I’m never a fan of those in the first place. Champion wasn’t a bad read, but it lacked the little something extra from the previous books for me. Sure, the writing has the same quality and I guess fans of the genre and series will have a good time with it, but I hoped for something more. This also goes for the ending, which I didn’t like at all. It’s kind of an ending that can go either way for you though, because there are some twists that will definitely mess with your emotions and it depends on how you react to that. All in all not a bad read, but I had hoped for a stronger ending of the Legend trilogy. I still can’t believe I was able to finish my Dutch read of the year this quickly! The Dutch translation of The Year Of The Rat was quite a fast read and that definitely helped me reach the final page easily. I’m not a fan of reading in Dutch, but I liked this story well enough and it was interesting to see what loss and grief can do to a person. Although not perfect, the story itself was well developed and I definitely appreciated that there almost wasn’t any romance included in the plot. 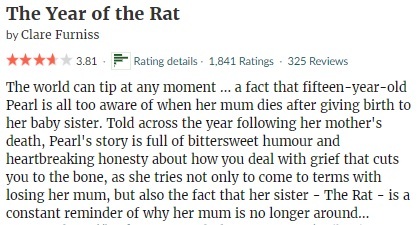 The Year Of The Rat is a mostly family focused and character driven story where we follow the main character Pearl as she tries to deal with the fact that her mother died giving birth to her little sister. 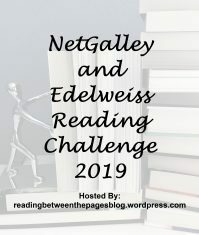 While I can’t say I was able to connect to the main character, there is no doubt some very powerful emotions are described; it’s a story that will make you think. 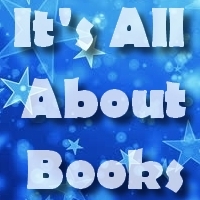 If you are looking for something easy and fluffy, you are definitely looking at the wrong story, because you will find some very difficult moments in this read. It may sound weird since I’m originally Dutch, but I haven’t used the language actively in years (I use Spanish all day and English for reading and blogging) and I can promise you it has become preeeetty rusty. How do I know? Let’s just say that when I visited Holland last year nobody believed I was actually Dutch when I tried to speak haha. 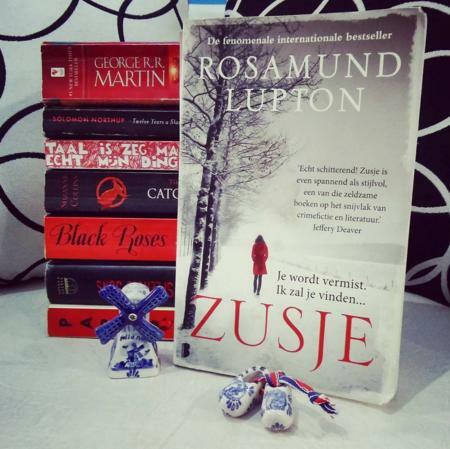 I made a promise to myself when I came back from my trip to start reading at least one or two Dutch books a year to refresh my memories… And last month I finally decided to keep that promise and pick up my copy of the Dutch version of Sister by Rosamund Lupton. I was kind of hoping that picking up a story belonging to one of my favorite genres would make it easier to enjoy reading it, but unfortunately this didn’t end up being the case. It took me a whole month to actually finish this story, which was way longer than I had planned. Part of the problem was probably the language barrier (reading in Dutch just doesn’t feel ‘natural’ tp me anymore), but I don’t think that was the only reason why I didn’t enjoy reading Sister. The first thing that stands out is the superslow pace, which made it so much harder to keep going. I wasn’t really a fan of the writing style either, although it’s always tricky to talk about this element with a translation. Still, I wasn’t charmed by the tone or the way the sentences flowed and this made it considerably harder to stay focused on the story. And the characters… Boy, did I have a hard time with them! I wasn’t able to warm up to them at all and was mostly frustrated by Beatrice. The way the story is told is quite original though and I can’t deny the ending came as a surprise. The final part of Sister definitely made me rate this story higher than I would have thought initially, but I don’t think it actually makes up for the slow pace, writing style or characters. Most people seem to have enjoyed this story though, so it makes me wonder whether I should get an English copy some time in the future (when I don’t remember the plot twists or how it ends) and give this story another go. Beatrice has been living in New York for quite some time now, but when she receives a phone call that her younger sister Tess is missing she takes the first plane back to London. Nobody seems to know where her sister could have gone, and as Beatrice learns more about her disappearance she is starting to realize just how little she knows about Tess’ life. Everybody seems to accept they have lost her, but Beatrice doesn’t want to let go until she finds out the full truth. But will Beatrice be able to convince the rest? Part of the problem I had with this book has probably been caused by reading it in Dutch, but I don’t think the language barrier was solely to blame for my negative reading experience with Sister. Between the superslow pace, writing style I couldn’t connect to and characters I never warmed up to, it was quite hard to actually enjoy reading this story. 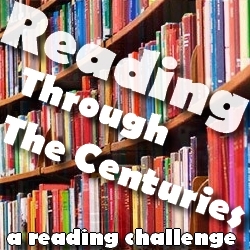 It was a very slow ride and it took me a whole month to reach the final page. The last part did improve considerably and the final twist was a huge surprise that will make you reconsider everything you read before. I don’t think that made up for the rest of the story though.